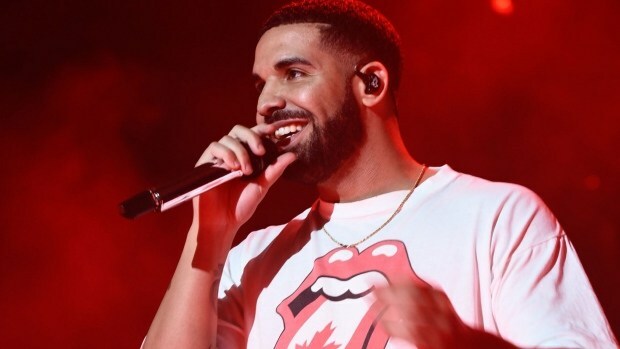 ‘God’s Plan’ by Drake reigned supreme once more as it recorded it’s sixth week at the summit of Official Singles Chart for this week. The collaboration track ‘These Days’ by Rudimental featuring Macklemore, Jess Glynne and Dan Caplen finished 2nd, as it spent it’s fourth week behind the latest single from Drake. ‘IDGAF’ by Dua Lipa enjoyed it’s 9th week in the chart as it stayed 3rd for the second week in a row. ‘Psycho’ by US rapper Post Malone featuring Ty Dolla Sign was this week’s highest new entry. The track was ranked 4th and it’s Post Malone’s second one to feature in the UK Top 10, after his previous track ‘Rockstar’ was in place last year. The top 5 is rounded off by ‘Friends’ which is a collaboration of Ann Marie and Marshmallow, as it climbed 4 places from 9th to 5th. At the 10th position is ‘Say Something’ by Justin Timberlake feat. Chris Stapelton. After Justin’s performance at the BRIT awards last week, the track climbed 12 places from 22nd to land at the 10th spot. It was the singer’s 20th single to feature in the Top 10 and the first form his latest album ‘Man of the Woods’. At the 18th spot is ‘Look Alive’ by rising star Blocboy JB in collaboration with Drake, which climbed up three spots. Following it is ‘Jumanji’ by British rapper B Young. The track has finally managed to break into the Top 20 after eight weeks in Top 100. 5 Seconds of Summer recorded their 7th UK Top 40 single with ‘Want You Back’. The track from the Australian rock band acquires the 22nd spot. Other Top 40 new entries include ‘Supermarket Flowers’ by Ed Sheeran at 29th, ‘Paradise’ by George Ezra at 30th, ‘Lullaby’ by Sigala feat. Paloma Faith at 32nd, ‘Rapper’ by Hardy Caprio at 34th and ‘Blinded By Your Grace’ by Stormzy feat. MNEK at 35th.